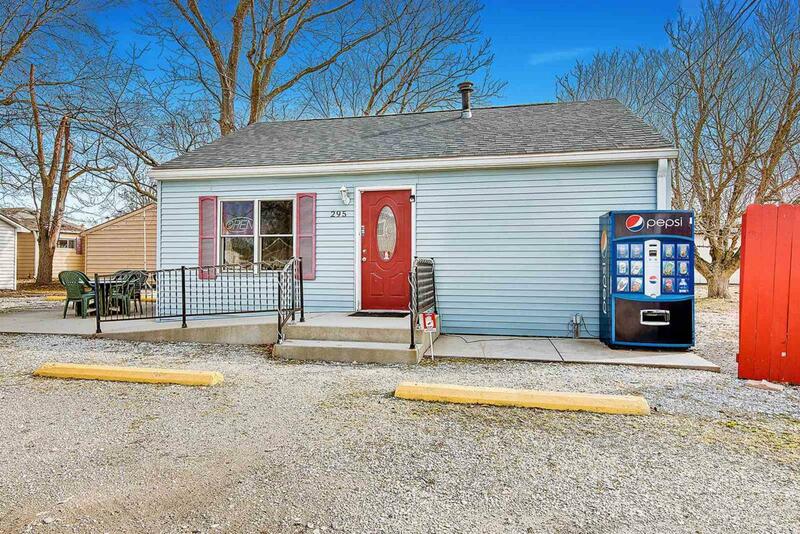 Unbelievable opportunity to own a commercially zoned property in Tippecanoe County for under $100,000! This site would be ideal for an office or retail location, coffee shop, restaurant, and many other uses. This site would be ideal for a coffee shops/sandwich shops, restaurants and many other office or retail uses. Two exterior entrances, storage shed, stand alone sign, and outside dining veranda. Parking lot, providing ample parking for customers and employees. This 1,000 sq. ft. mixed use building located in Dayton, Indiana. Located off I-65 next to the SR 38 exit with convenient access to Lafayette, Indianapolis, and Chicago. Well situated within 1.6 miles from Subaru, 5 miles from Tippecanoe Mall, and 10 miles from Purdue University.